As with carpet, we stock over 50 rolls and 100 rolls of remnants of vinyl, from Tarkett, Mannington and Armstrong. We also sample and stock the latest in glueless fiber backed sheet vinyl. 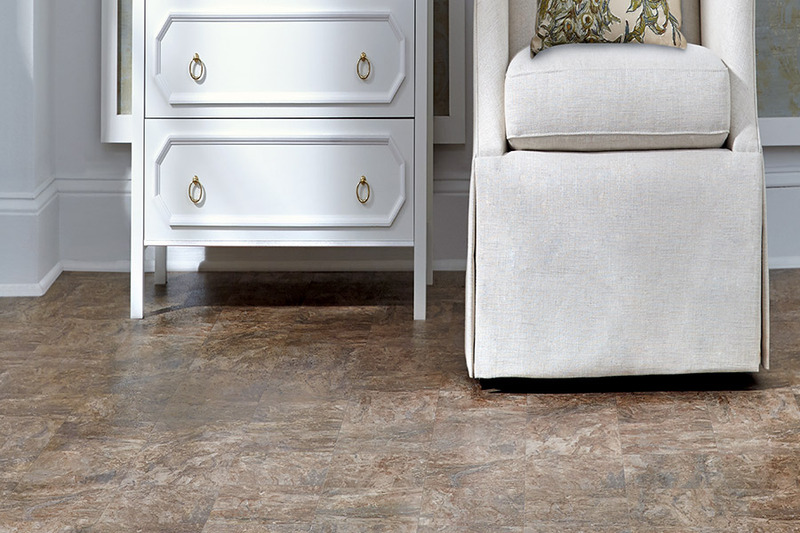 If you are considering vinyl tiles, look no further as we sample Mannington Adura, Armstrong and Tarkett vinyl tile. We'll show you how to do it yourself or have it installed by our own installation professionals. At The Carpet Store, we acknowledge that your floors endure a lot. Continually they're stamped on, scarred by lugging furniture around, marked, drenched in spilled drinks, and on occasion hit with fallen items. For a floor that can suffer every of those impairments and more, look at durable vinyl flooring by The Carpet Store in Rosendale. Protected against messes, marking, chipping, scraping and more, vinyl floors will not swell when exposed to humidity like wood and laminates or streak when soiled in the same manner that carpet will. The fortuitous facets of the material means that it yields, so shatterable possessions are not expected to be destroyed when toppled onto it, and toes are not likely to be unpleasantly stubbed on it. 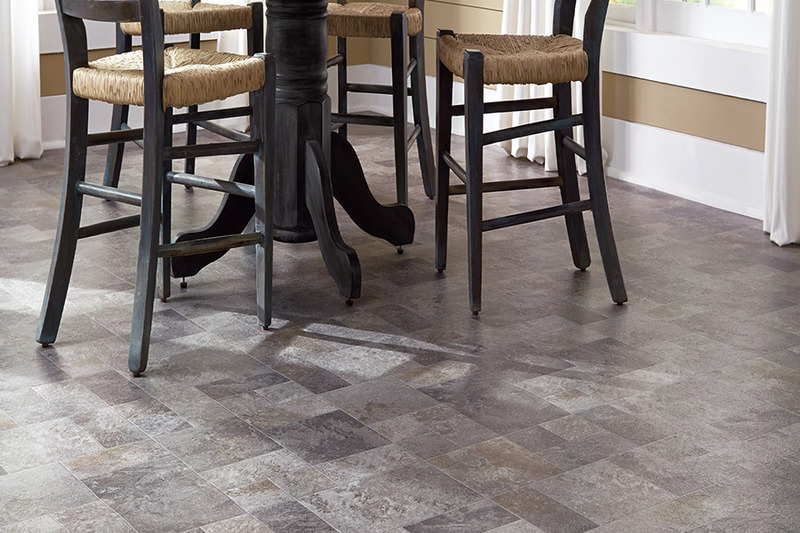 More malleable than tile and easier to upkeep than carpet, vinyl includes a multitude of values. 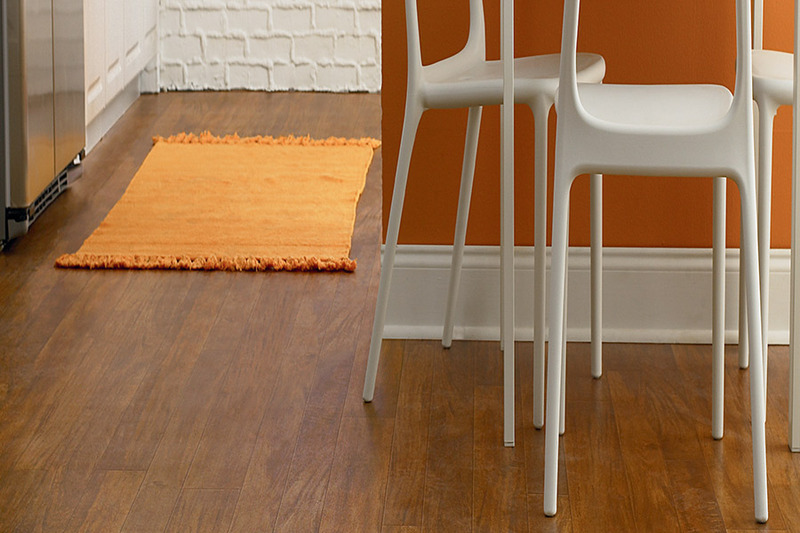 The amazing part is that they will not require to be shampooed, renovated or waxed like carpet, hardwood or linoleum. To care for these stable floors, the only cleaning you must do is sweep up dust and dirt routinely, and mop up the occasional mess. 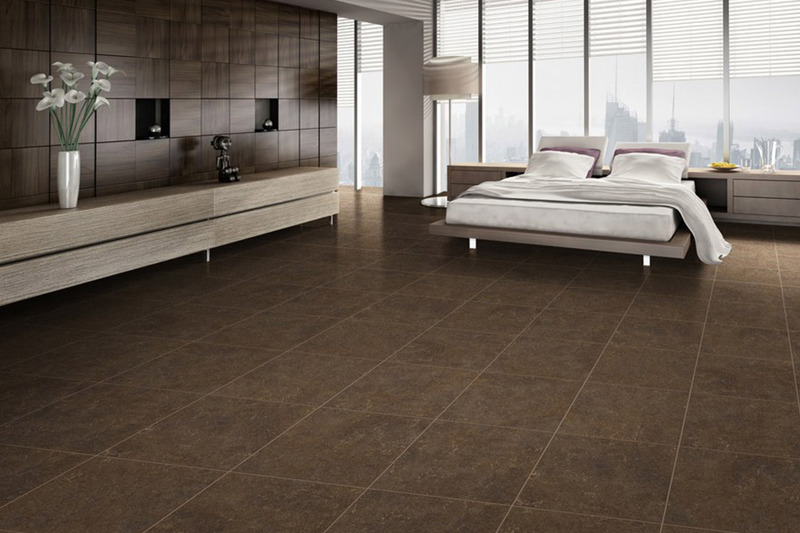 In addition to being one of the most tough flooring options, vinyl is additionally the most appropriate flooring for the widest range of projects. The rotogravure process utilized to fabricate the sheets or tiles provides for an infinite plethora of designs. 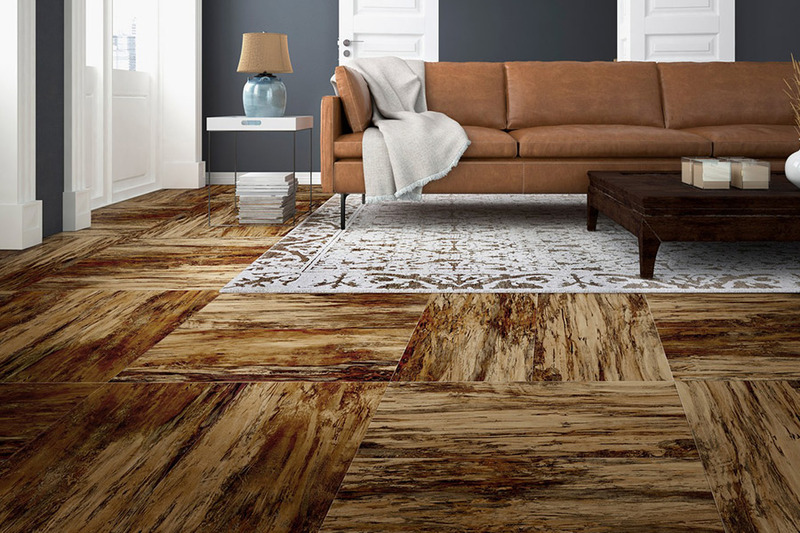 From patterns and textures molded to stand in for the lavish features of stone tile or the excellent quality of hardwood at a more affordable price, to shades and styles that can harmonize with any space, the creative liberties are essentially limitless. 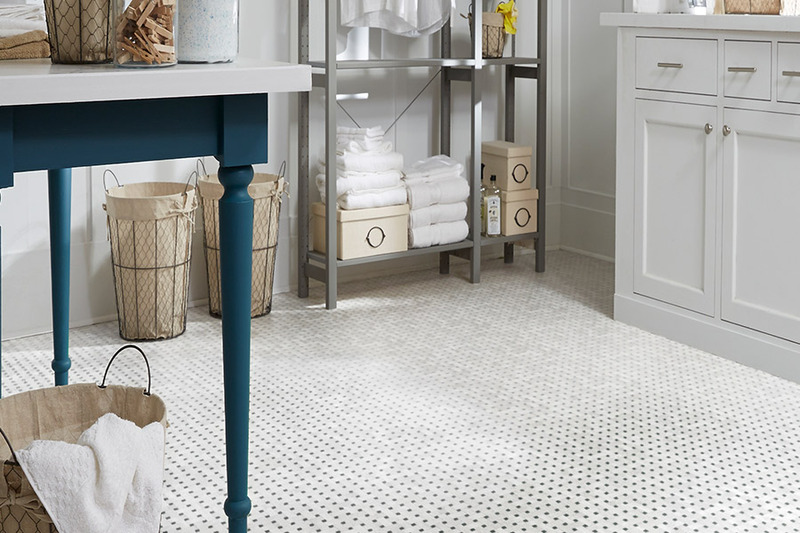 Stable vinyl flooring is fitting for washrooms and kitchens where spills may be frequent, halls and dens where foot traffic is often, and children's rooms where all sorts of strange disasters can come up. 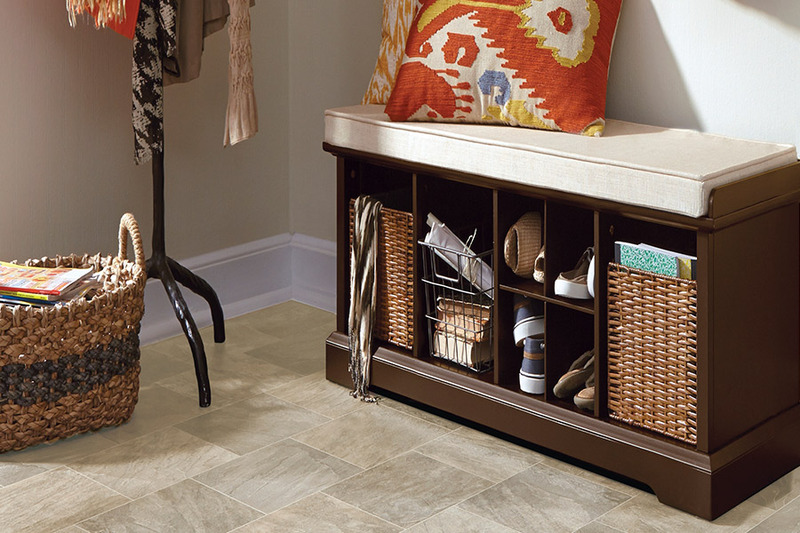 Sturdy, majestic, uncomplicated and low priced, vinyl flooring can make a fabulous addition to all sorts of room in your home.